List Price $ 6.89* each *Please note pricing is USA only. The American Lock No. 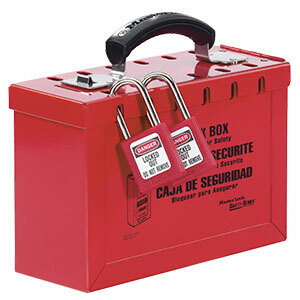 ALO80 Heavy Duty Steel Lockout Hasp features a 1in (25mm) inside jaw diameter constructed of heavy duty pry-proof steel and can hold up to six padlocks. 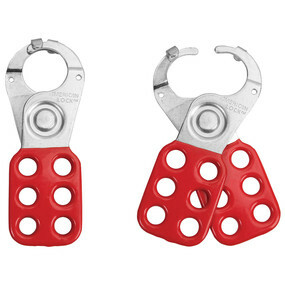 Ideal for lockout by multiple workers at each lockout point, the hasp keeps equipment inoperative while repairs or adjustments are made. Control cannot be turned on until last worker’s padlock is removed from hasp.